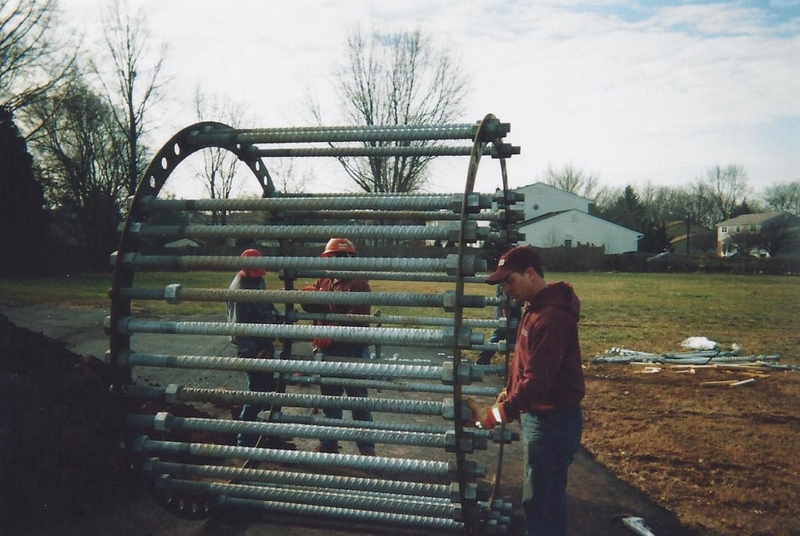 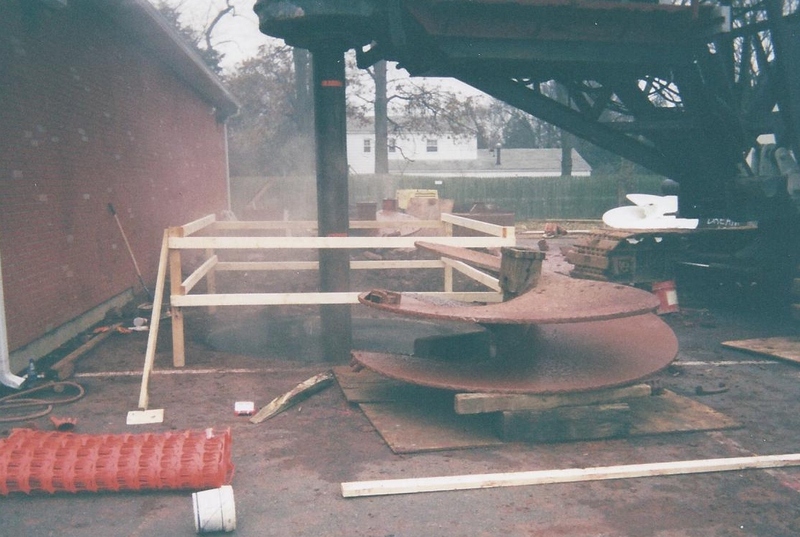 Eastern Caisson completed a 108″ diameter 31′ deep cell tower foundation in North Brunswick, New Jersey. 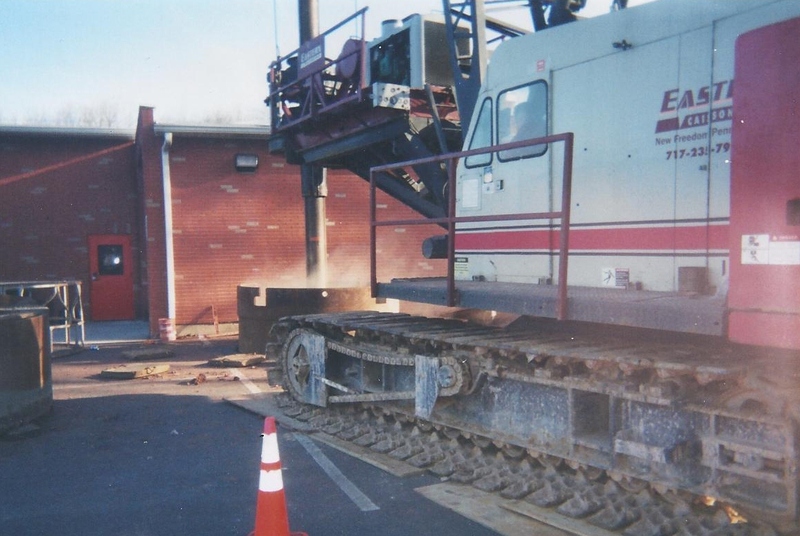 Eastern mobilized their Calweld 155 mounted on a 118 Linkbelt. 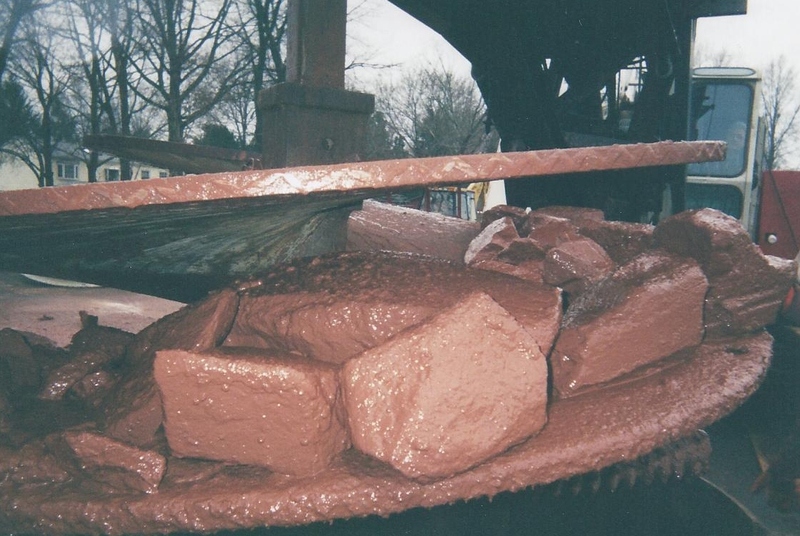 The extra power was needed because the foundation required 21′ of rock to be removed to reach design elevation. A 102″ diameter cage, consisting of 36 #11 Bar’s (30′ 6″ in length) was set into place with our 118 Linkbelt 60 Ton crane. 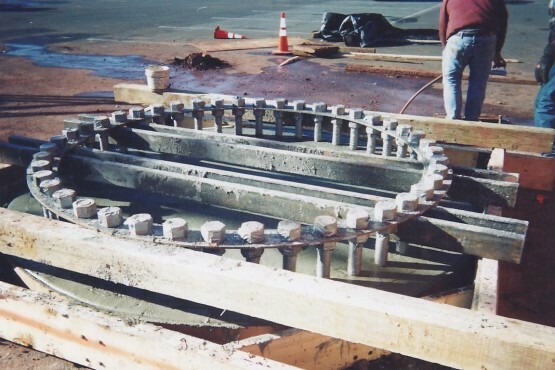 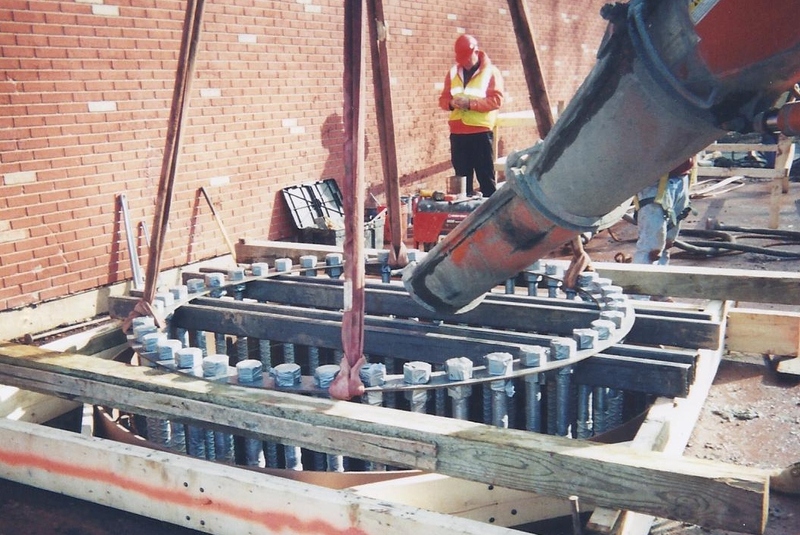 A 108″ diameter form was placed to give the caisson its required 1′ reveal and a 44 bolt anchor bolt assembly was set and leveled. 80 yards of concrete was then placed to finish the caisson.